PhotoUp is a company that aims to become a socially ethical, globally responsible, and environmentally friendly business. Thus, we are serious and quite active in implementing our various corporate social responsibility (CSR) programs. PhotoUp organizes feeding programs, school supply distribution, calamity assistance, and other related events. The fact that many of our team members are avid outdoors people means that we genuinely love Mother Nature. It is not a surprise, therefore, that environmental protection and preservation is among our mainstay programs. 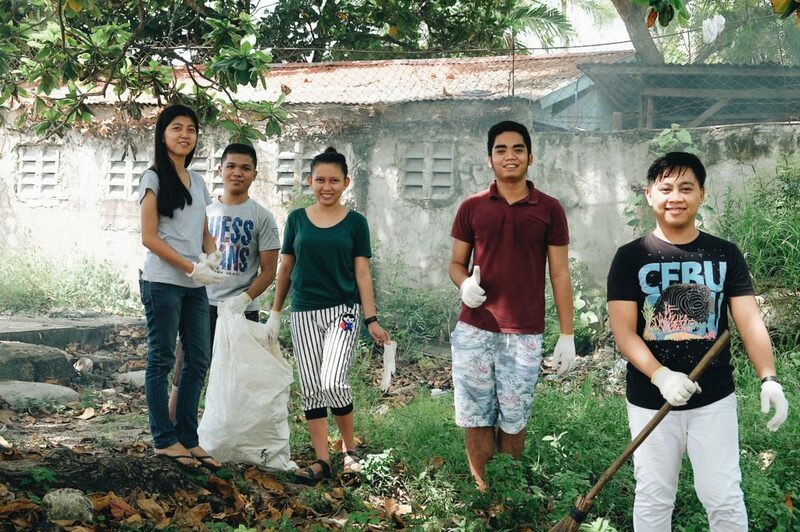 So on July 30, we decided to clean up a small beach resort called Uncle Mike’s in the tropical island of Mactan. Uncle Mike’s is popular not just for beachgoers but also for free diving enthusiasts. Less than a hundred yards from the shore is a reef that is relatively undamaged and filled with colorful corals, vibrant fish, waving crinoids and anemones, and other marine creatures. There is even a coral-encrusted sculpture of a mermaid, which has become the icon of the place. However, the influx of numerous weekend beachgoers made the beach quite messy. The nature-loving PhotoUp team decided to tidy up the place and inspire other beachgoers to keep the place clean. Uncle Mike’s is just one of the beaches around Mactan. But collectively, beaches are an important mover of Cebu’s tourism industry. The money from tourists who visit our sandy shores provide not just revenue for hotels and resorts but also additional income to locals, vendors, and fishermen who inhabit the area. Yes, they are our gems, but they will only continue to be so as long as we keep them clean. We arrived at Uncle Mike’s at around 9:00 AM. Armed with brooms, dust pans, sticks, and our own gloved hands, we started the cleanup in earnest. We picked up discarded plastic bags, bottle caps, cloths, and other debris. We even picked up dirty clothes and old bags. 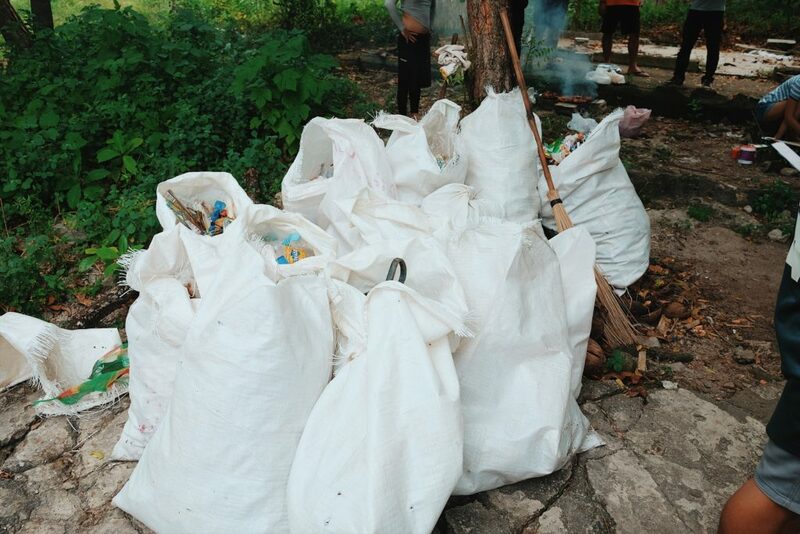 We also took extreme care in getting rid of dangerous debris such as broken bottles, discarded barbecue skewers, and the rusty remains of tin cans. Any of these can cause serious injuries; we dread the thought of a barefoot child stepping on these extremely sharp debris. In just a little over an hour, we filled up a dozen sacks of trash. It’s quite sad because those dozen sacks comprise of garbage found in just a small area. Hopefully, on our next cleanup there, the number of sacks would be lessened to half that number. Some team members also swept piles of dead leaves. Although these are biodegradable, dead leaves are fire hazards. We had to get rid of them because there is no proper grilling station, and people grill food in any available place where they can set up their grills. An errant ember can cause a fire. Hannah, Chaw, Kyle, and the other free divers of PhotoUp wanted to clean the reef itself. Unfortunately, it was a windy day, and the choppy water stirred up sediment on the seabed. The visibility was really bad, and all we could see is thick cloud of brownish sediment in front of us. Since we could not see the seabed, we decided to come back when the weather calms down. More than an archipelago, the Philippines is a part of the Coral Triangle. For Filipinos, the sea is life, and it forms an important part of their lives, history, and culture. Keeping the sea free of pollution and protecting the marine life that inhabits it is very important for the nation’s survival and well-being. If we and future generations want to enjoy the beauty and the bounty of the sea, then it is absolutely necessary that we take very good care of it. 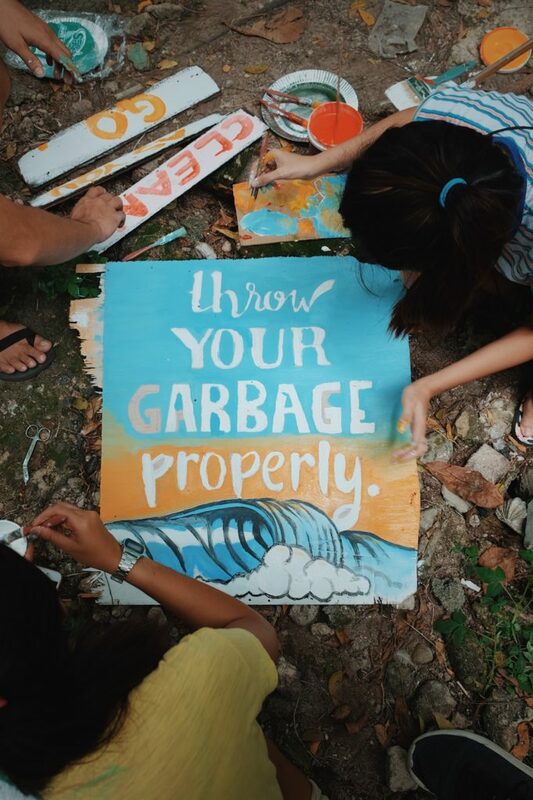 Another group painted eye-catching signages that remind people to clean up after themselves. Once these are done, they will be placed in strategic places around Uncle Mike’s so that visitors will be reminded to keep the place clean. A cleanup is quite a physical activity. You know what that means, don’t you? It means that our tummies were rumbling! 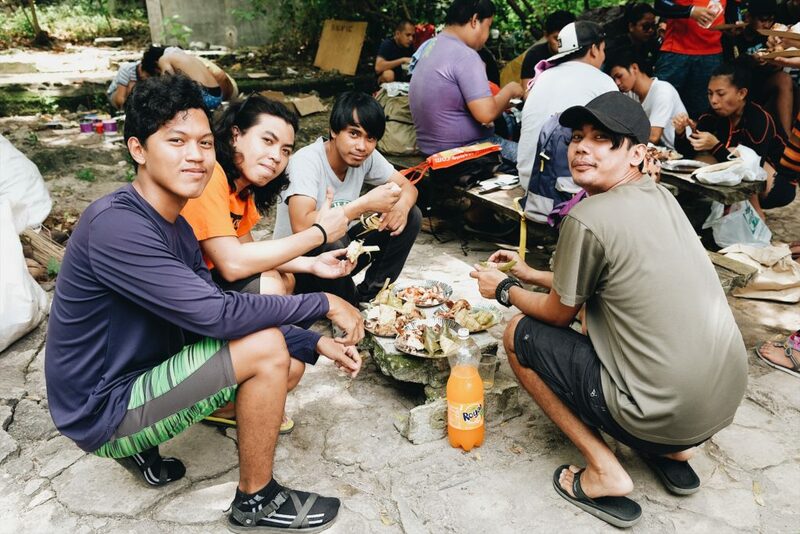 So, other team members cooked us up a delicious meal of puso (hanging rice) and grilled pork. Yummy! As you can see, PhotoUp is committed to environmental preservation. And this is only the start. We plan to do cleanups like this every quarter to help ensure that Philippine seas will remain clean and healthy amidst the changing times, increase in population, and growing infrastructure. Click the link to learn about PhotoUp’s mission and vision. For more information about PhotoUp’s CSR programs and team adventures, read our company blog. 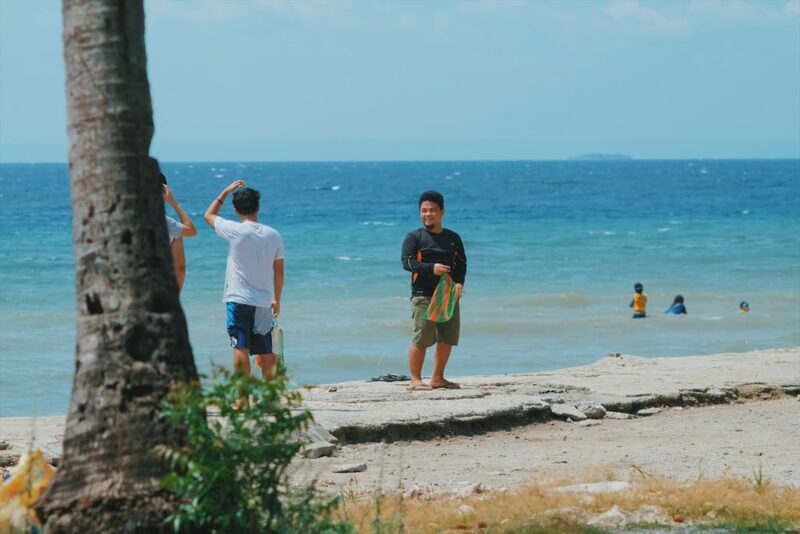 *Thank you to Marben Kristian for the photos of the beach clean-up. Increase your sales and free up your evenings for friend and family time. Devon came to PhotoUp with a background in digital marketing and communications. With a BA in Marketing from Michigan State University and previous experience working with both big business and non-profits, Devon brings a well-rounded perspective to the team. 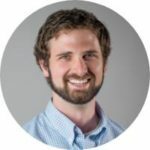 Outside of PhotoUp, you can find Devon coaching and playing soccer, socializing in downtown Grand Rapids, or going on adventures throughout the great state of Michigan. Natural, sharp, tasteful real estate editing tailored to your style. © Copyright 2019 PhotoUp Inc. All Rights Reserved.